Why Small Businesses Matter puts a spotlight on the local merchants who donate their time, talent, goods, and services for the betterment of our community. The shop local movement spreads virally. You're IT We Care Computers! 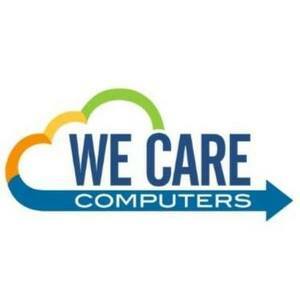 Three questions with Avi Smith-Rapaport, President of We Care Computers. I started my business to support and make a difference for small businesses out there with their technology. It all started in college where I went to Uconn to study International Business Management. We had a fantastic floor in my dorm that was very involved in all things computers. Many of us stayed on this floor our entire college careers. Here is where I developed a passion for computers and solving my own and other people’s problems. Having my degree in business was really the key to my success. There are a lot of fantastic techie people out there. The most difficult part seems to be running the business. After school, I worked at a large University where I learned the ins and outs of corporate networks and security. From there I worked for a private company where I continued to learn and grow. I think back to this time very fondly as I learned a ton of information and learned about the importance of mentors. In 2004 We Care Computers was born and we have not looked back since. I wish I could do more for my community. One of the most important things for We Care has been to give back to our local and not so local community. Over the years we have donated to many non-profits and community events. We have held our own fundraisers for organizations such as FoodShare while contributing to too many to count. In 2016 my oldest son asked that I chaperone a service trip to the Dominican Republic. His school University High School of Science and Engineering joined up with Watkinson school to lead a group of high school kids to support members of a number of communities in the Dominican Republic. This first experience was life-changing and we are heading back again for our third time this year in 2018. As we continue to grow as a company we are able to help and participate more. The world seems to be in a tumultuous state right now and one of our strongest focuses is being a good role model for others. Our aim is that we are able to help heal our world in whatever way that we can. What is your bestselling product/service? Our best selling products these days are managed services. We have figured out a way to help our clients budget their IT expenditures while giving them a full array of services. It has really proven to be a win-win with increased productivity and efficiency for our firm and our clients. Offering peace of mind is another benefit of these services. Our clients can go to bed knowing their networks and data are protected. Are you sure your data is backed up and safe? We Care Computers is located at 2437 Albany Avenue, Suite 101A in West Hartford. Visit them online here. HamletHub thanks The Hartford for making this series possible and for supporting small businesses. Visit The Hartford online here.